Uncertain Future – Part VI – If the Feds Aren’t Safe, What Makes You? Ok, so maybe various versions of making people look bad on the internet aren’t nearly as terrifying as legitimate terrorism, but what about the presence of true cybercrime, those who use the internet with no agenda for reform, no desire for publicity, and who 99% of the time, you never knew existed? What about when the threats aren’t out to make you think about some subjective moral wrongdoing, but steal your money and ruin your life. What’s really scary is that no one is safe – quite literally no one. Not even the director of the United States Central Intelligence Agency. A group of young hackers, using rather unsophisticated methods, broke into the CIA Director John Brennan’s personal email. So that we are all aware, the director of the CIA is the guy in charge of all US spies and one would thing be well beyond the reach of hackers… especially a group of teenagers. Much to the chagrin of the US government, he really wasn’t. This one, however, wasn’t really his fault. The method the hackers used was to implement a tactic that predates modern computing by only a few thousand years. They pretended to be people they weren’t, tricked a Verizon worker and got Brennan’s email password changed the old fashioned way… by lying. The term they used is “social engineering”. While they didn’t find much, they did find were some documents important to him. Then they bragged about it on Wired. While all of us think this one is hilarious, if a story turns up about a few of these kids turning up missing in a couple of years when no one remembers their antics… don’t say this wasn’t foreseeable. The same group were responsible for this breach also targeted the FBI… because they are just ballsy I guess… and broke into portals used by police and federal agents to share intel. The site is also used to book suspects, and while it isn’t known how much was taken, hundreds of thousands of users may be vulnerable, many already being leaked following the hack. 2015 saw attack after attack like these, and some of the most massive breaches to internet security the world has yet seen, all with little other incentive than stealing money, stealing information, and extortion. Like my fictional spy from the future, there are many who profit heavily from the information you keep secret. Over the course of the last year, it is estimated that some 70% of the US population experienced some form of cyber attack and over 2.1 billion internet users worldwide. In a Verizon Study of 90 Security breaches, there were 285 million data exposures. Unsurprisingly, attacks are getting much more advanced, with hackers sometimes using multiple attacks simultaneously to succeed in a breach, such as malware, brute force, and SQL injection. Furthermore, 74% of the attacks were external, meaning that 26% were executed from within the companies we are trusting with our data. In a related vein, but just as disturbing, we are now seeing more breaches being discovered by employees than outsiders. Traditionally, these sorts of attacks were discovered by feds or other companies detecting the irregularities. Now, it is much more likely that when you’re breached, you’ll be the first to know… which for some of us, isn’t that comforting. Depending on how you look at this, it could either be welcome news or utterly terrifying. On the one hand, this means that internal security is at least able to grow to the point that they become aware of their own breaches. On the other hand, it means that the number of breaches, and all the possible avenues of failure have become so numerous, that no government agency can possibly be aware of the threats anymore, let alone protect us from them. The next troubling discovery, this one from the 2014 report, was exactly how big the hacking business is. In spite of the whole last section of activities by groups such as Anonymous, malicious hackers working with financial motives still account for some 60% of cyber crime. Corporate spying, those seeking intellectual property and trade secrets accounted for some 25% (up from previous years). Those hackers who were not set on serious crimes (you know, for the lulz) or hacktivists with some ideological agenda, in spite of all the news, accounted for next to nothing. That means that in spite of internet hacktivists publicised achievements, the vast majority of illicit attacks happen for no other reason than to rob of us of something precious. Several people probably noticed that last line and thought to themselves, “Ha, that will show the asshat.” Well, we need to think about that one again, don’t we? Who was hurt by the breach at Trump hotels? Innocent people. Really think about who these people are who are hurt; people who slept at a place. Imagine yourself, really just you, getting a hotel anywhere in the world, never really thinking about the guy whose name is on the side of the exterior wall and if one day he may potentially run for President of the United Freaking States. No, you just slept in a place and now your information is floating around the internet by people who are trading it for money. So to those who are getting their lulz right now from finding out that the “Orange carpeted clown” got pwned (“laughing hard at the misfortunes of Donald Trump” for those not accustomed to the vernacular of the lower internet), you’re real a-holes. To illustrate this point, as shown already, some the biggest breaches didn’t steal money directly. The big payoff was information. Hackers who can get access to data about real people, not just one, but millions of people at a time, are the biggest scores in the illicit industry of online invasion. Stealing a whole database with customer or employee names, birthdays, SSNs, or any other useful private information can open the door for those people to be targeted later for individual attacks. These attacks may be for money, or they can be for more information, perhaps even national secrets, incriminating information for blackmail, or worse. Often, this information is collected and merged into larger databases, where users are profiled and where that which is stolen can be used against them in some of the most terrifying ways imaginable later… like a hack on the Internal Revenue Service. The IRS is a common target of hacking. As the central collection agency for all taxes of all people of the United States, it is one of the largest gold mines ever created. In 2015 it suffered the largest breach in its history. It acknowledged that hackers had gained access to view more than 300,000 previous tax returns. They did this through a tool made available by the IRS called “Get Transcript”. Get Transcript allows users to view old returns. The safety in this system is that it requires numerous layers of identifying information to access Get Transcript and view those old returns. The types of information needed: names, social security numbers, birthdates, addresses – the very same items stolen from the other hacks mentioned above. This means that the hackers were able to make one of the largest internet heists in history, only through access of stolen information, gathered, collected, and organized by other hackers in a cyber black market where your information is the most valuable and most traded commodity there is. That means that each of the victims were hacked not once, but twice. The big takeaway from the 2015 IRS Hack is that there is growing evidence of the existence of something we are all afraid of. Databases out there that are growing day by day, where cells of each of our data are collected and merged without our permission or our knowledge, and that these databases are being traded by people across the world, with no good intention for us. This leads many to believe in a future decades from now which has no secrets, where all of our information is direct and open to the public. For those of us with bank accounts, street addresses, or children, that’s not the idealistic image of an open society that some would paint. The fact is, we live in a state of danger everyday because of the secrets we entrust to others. In the next few decades, for companies to remain viable, they are going to have to prove they can be trusted with our information. More so than this, if we ever want to feel safe again, perhaps the most valuable enterprise in the future of internet security might not be the next guy who is able to steal our information, but the first guys who figure out how to get it back. Thus far, the stated purpose seems to be to counter “outside parties” and their military agendas within Arab countries. While many Westerners may believe this relates to American and European interests, it was made very clear that this is directed toward meaning Iran. Iranian backed groups, such as the current threat in Yemen, as well as Hezbollah, and the Iranian backed Shia government in Iraq have left the Arab nations feeling pressure, compounded by the blow delivered to it in 2011 via the Arab Spring. Uprisings and protests have riddled the Arab World since that time and, given the recent push by the Shia backed Iran to fill the void. This combination of threats has solidified many of the 22 Arab League members. Recent military successes in Yemen, have also empowered those backing joint military operations. It has already been acknowledged, however, it is doubtful that all 22 will be part of the force. What we will probably see it used for immediately is to try to stabilize the Yemen conflict in favor of Arab interests. If it has strong lasting power, we may see it act as a counter balance to Iran and forces like their Quds Force. The Quds are a special forces arm of the Iranian military reporting directly to Supreme Leader of Iran, Ali Khamenei. They are responsible for the Iranian military’s “extraterritorial operations” and reportedly number around 15,000 troops. A good analogy for the Quds would be something comparable to the United States CIA married with the Green Beret and reporting directly to the President while still technically being part of the Department of Defense. Through them, Iran has been able to support military action across multiple agendas throughout the Middle East, most notably through their commander Gen. Qasem Soleimani reportedly taking a prominent role in both the planning & execution of the offensive to liberate Tikrit from ISIL. Currently, there is no such Arab answer in the Middle East with the means to counteract Iranian influence and capabilities such as they have shown through forces like the Quds. What the Arabs seem to want from the arrangement is a direct action force combining air strike capabilities and ground forces to be capable of quelling any national destabilization, (such as events like the Arab Spring) insurgency (such as the beginning of the Syrian War and current Yemen conflict) as well as counter-terrorism capabilities. This isn’t, however, the first time such a force has been seriously suggested. Such a force was a major agenda with the Ba’athists since the 1960’s and has been a long established goal of various Arab League states for many years. This has always been hampered by the region’s numerous flaws, suspicions and inability to cooperate strategically across borders. Add to this and the devastating effect of the Arab-Israeli conflicts on Arab cohesion. To the credit of the Arabs, conflicts throughout the Middle East over the last fifty years have seen a massive, though somewhat quiet, increase in military infrastructure to support such a new force. An example of this is the Al Asad Air Base in Iraq and others like it, a result of the Israeli conflict and the Middle Easts inability to muster forces fast enough to fight back against Israeli assaults. Another fact worth considering is that nations throughout the Middle East have been outspending much of the world for the last decade. Saudi Arabia, for example, has been spending as much as 10% of their annual GDP on defense spending, more than doubling even the United States military’s relative spending. That said, if this goal does stick, one can’t know what it will lead to. The force’s staying power will mean an escalation of conflict between the Arab League and Tehran, an event which paints a new and altogether more threatening light on the recent nuclear agreements going on with Iran currently. The Arab region’s history of being politically intertwined in all regards with Islam, particularly that of extremist Wahabi/Salifist branches, is obviously concerning, given their own recent attempts at nationalization. Arab military victories would surely see a rise in Arab nationalism, which may see more growth in parties like the remaining Ba’athists, which given their history, could be even more concerning. These three elements together, an example being a militarized Arab national state with religious backing such as Iraq circa the 1980’s is frightening.What this will mean for places like Israel we can’t know, but I’m personally not looking at that area very positively. In general, the only thing the entire Arab League has agreed on centered on the illegality of the Israeli state. Shifting focus, the presence of such a force will also only increase tensions with Iran. Finally, a militarized Arab League does hold the long term threat of one day pushing the West, such as the United States, Europe, and the UN out of many Arab countries altogether. Thanks for reading. This blog is supported entirely by fan donation. If you would like to support the author, please visit: Support Jon Davis creating Short Stories and Essays in Military, Science Fiction and Life. I am writing this article to address a few trends that seem to be affecting the church, specifically those in the youth about to be adults most like Tanner. Tanner, while achieving much for his age, is young and has a future ahead of him and now is entering the phase of life where he and those like him will be making the most important decisions of their lives. I feel the church, for the most part, has directed them toward a path where they can’t succeed in the modern world and can’t fully take part in shaping and guiding it anymore. This is part of why so many are steering away from the church and why the church is steering so far from the rest of American culture, bad and good. I wrote this article to try and focus on the direction being given to these young people and perhaps direct readers of Tanner’s and my blog in how they should encourage their youth in the future. Have you ever said any of these things… around your kids? 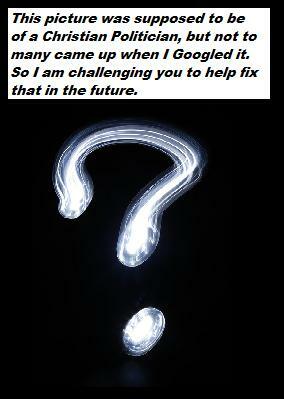 I know it is something most of us don’t think about often, but ask yourself, what careers am I pushing my kids toward? For many of Tanner’s younger readers, ask what careers where you pushed to? I think though, we should also consider, what are you pushing from? 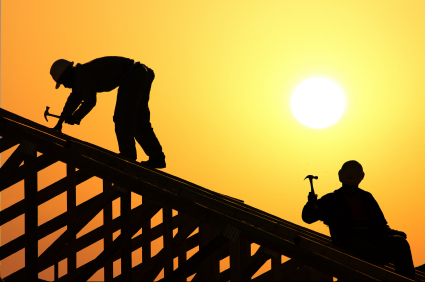 Many are raised with the idea that ideal Christian careers involve hard work such as construction. Carpentry seems to be popular among Christians (wonder why?) Other career paths include careers that involve some sort of service like the medical field, doctors and nurses (but not gynecologists, that is for the sinners of medicine), and education to become teachers. Another career path widely encouraged in church circles is the military. I was a Marine and I am still a little baffled at why so many in my church were so proud of me for doing a job that on a good day killed people… But they did. My wife says it has much to do with the service and sacrifice aspect of the job, which I understand. I still think they just haven’t really thought about it much though. But what about big business? What is the first thing you think about me when I say I would one day like to own the next Chase bank or be the next Bill Gates? What if I said I would like to one day be a successful venture capitalist? Would you think I was greedy? What if I said I wanted to be a successful politician? That I wanted to be a Senator and work on Capitol Hill? Would you think my goals are to be corrupt, filling my pockets with kickbacks before I become a lobbyist, making millions to influence others while manipulating the democratic system? You may not think that about me in general, but if you were to meet someone on the street with these goals, you wouldn’t think very well of career business people and career politicians. Why is that? Over the course of history some of the most important people in American history filled these roles. Politicians were once also viewed as a noble profession, public servants, stewards of the community. Businessmen once were viewed as the fiercely independent founders of the American wealth and prosperity. 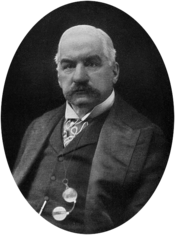 John Pierpont Morgan was one of the most influential business leaders in America. He built massive companies in his day. He also engineered programs and deals that helped to prevent two massive American breakdowns in the American economic system. 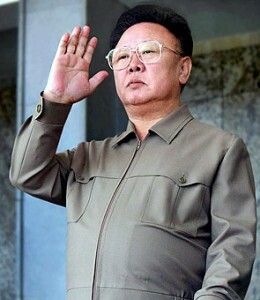 He was also a lifelong member of his church and one of it’s most influential leaders. His grandfather was a preacher and influenced him greatly. He could be found alone often in silent prayer for hours at his local church. Seems pretty straight forward. What about Thomas Jefferson, the supposed atheist of the founders? So it is possible to have moral leadership, both in business and politics. Then why is it that these two fields of achievement are so shrouded in the belief that they are corrupt, Godless and without morals? Because good Christians aren’t supposed to want to do those things. When I was a child I remember being told that the rich are nothing but greedy and that politicians are liars. I heard that a good Christian job was physical labor, medicine, teaching or the military and that these were the only honorable things available to me. Then I joined the Marines and during that time I realized that those who affect the most change, have the greatest impact on society are not on that list, not directly, not individually. Those with the most direct and individual influence on America are those people of business and leadership, which Christianity shuns. But things don’t need to be this way. In the future we need to encourage our young people to be those leaders of tomorrow. We need to encourage them with stories of great Christian businessmen and politicians, so that they can lead Americans with a Christian perspective. They can recommunicate the values of Christianity in a way society is able to understand and perhaps fix some of the problems we are seeing in society today from hatred of Christians to . That’s why I am glad to be invited to speak on Tanner’s blog. He is an example of the future of Christianity and the future of America. In the next few years, people his age are going to be making the decisions that will put them in positions where they can have a great resounding impact on us all. I hope that you will encourage them to do something great. Be entrepreneurs. Solve humanity’s problems with new ideas, new innovations and give people jobs. Make yourselves very wealthy and remember who blessed you with your success. Then tithe. Be politicians. Become leaders who set a great example to all Americans of what a great person is and should be. Become directly involved in the decision-making process and therefore have greater potential to influence the aspects of society you see that can be fixed. Don’t live a mundane life complaining about the rich, the wealthy and the powerful. Become them and set a new precedent. ***This post has been duel posted on Opinionz Matter by Tanner Brumbarger . I have been invited to guest post to Tanner’s blog and hopefully this will help drive a bit more traffic to Jon’s Deep Thoughts.